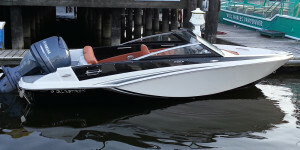 Vancouver Boat Rentals has the newest and best maintained speed rental boats in Vancouver. Book your very own private speed boat today and start exploring the spectacular Vancouver coastline. Book a 3+ hour boat rental online and save $5 per hour. To rent a speed boat with Vancouver Boat Rentals, renters must be 21 years of age or older, have valid photo ID. a $600 deposit of either a major credit card or cash deposit. Applicable taxes, fuel, and $10 insurance per driver are not include in our hourly rates. Minimum rental period of 2 hours on weekends (Saturday & Sunday) and holidays. Some of Vancouver's best fishing and crabbing spots are just minutes from our location. Vancouver Boat Rentals takes your boat rental safety seriously. A 15 minute walk through and tutorial is included in every rental. We ensure that our knowledgeable staff answer all your questions prior to your rental boat leaving the dock. Every rental boat is equipped with all the necessary standard safety equipment. Included are life jackets for every passenger on the boat (including children), a flash light, rescue rope, bailing bucket, paddles and whistle. Our Hourston Glasscraft boats are built locally in North Vancouver and are specifically designed for these waters. They are the safest and toughest built runabout boats on the market. Just minutes from our docks you will find World Famous fishing grounds for Dungeness Crab. Rent everything you need for this adventure from Vancouver Boat Rentals. Also minutes from our dock are some great fishing spots. Here you will catch fish like Flounder and Sole with all the fishing equipment you need, 2x Rods, Tackle and Bait provided by Vancouver Boat Rentals.